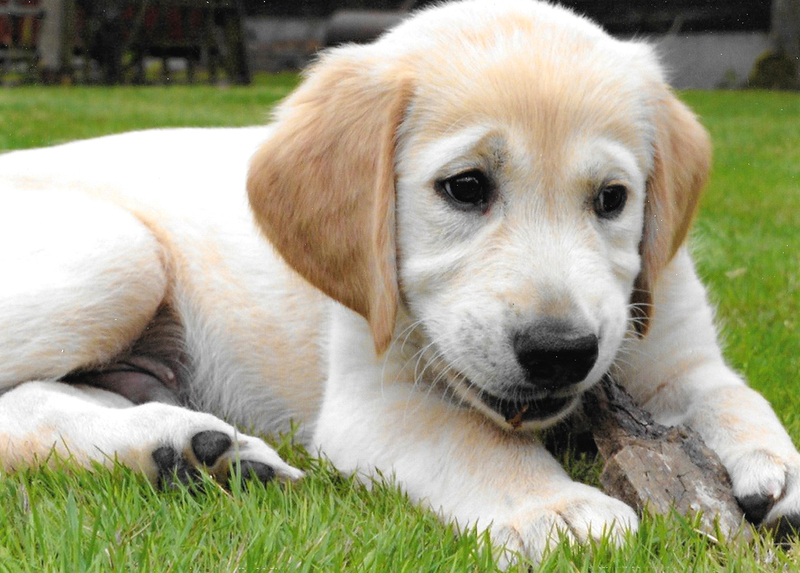 Over the past couple of years we have been raising money to name a guide dog – along with all our other charities. 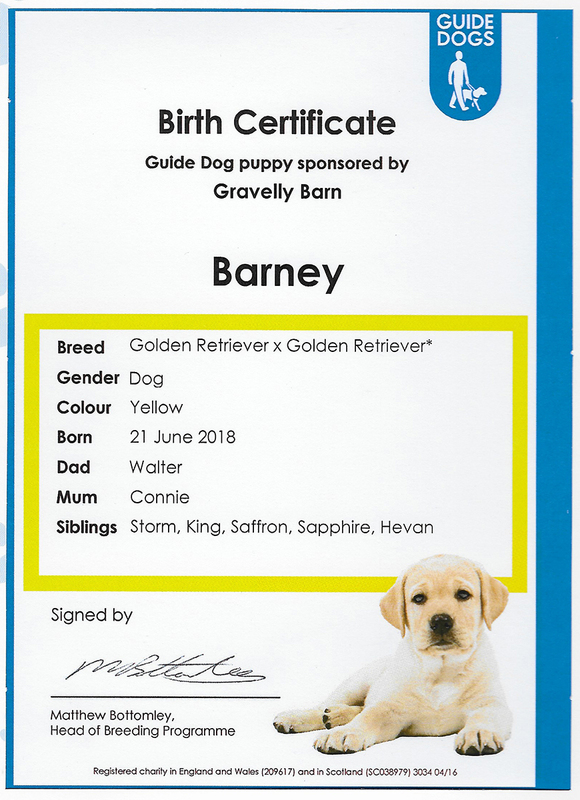 Thanks to everyone’s generosity and a lot of hard work we have now raised the £5,000 that enables us to choose a name for this lovely dog … and Barney seemed an obvious choice! He was born on June 21 and has now been placed with a puppy walker. You can see his birth certificate below. This is the beginning of a very exciting journey for Barney. For now he is an uncoordinated bundle of fluff but over the next few weeks and months he will start his transformation into a responsible guide dog. 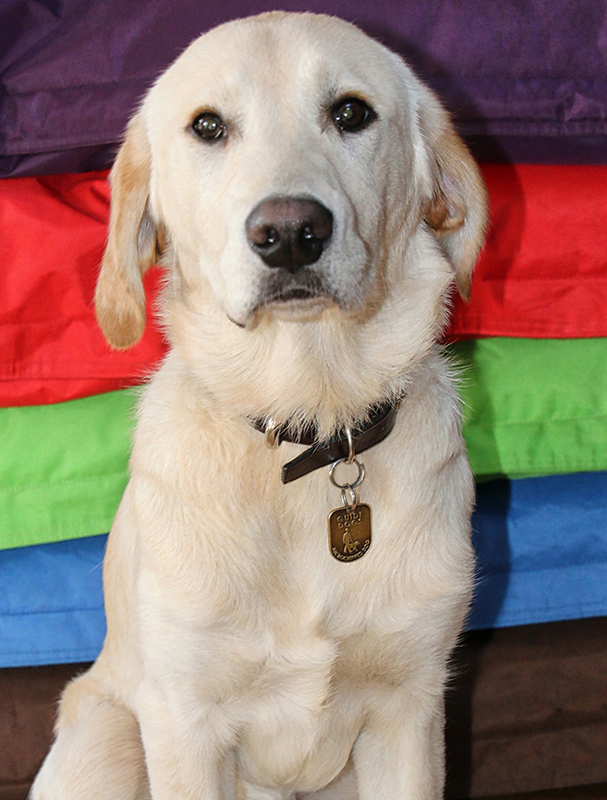 Guide Dogs will be updating us on his progress and you will be able to follow it here.